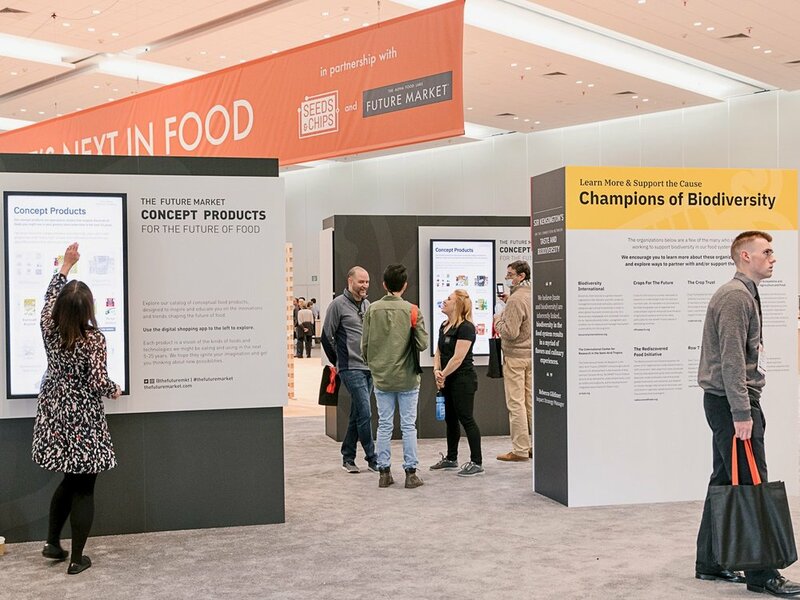 Read more about our pop-up Future Market exhibit the 2018 Summer Fancy Food Show in NYC or scroll down to view photos from the show. Behind the scenes highlights from our Future Market exhibition at Summer Fancy Food Show June 2017, Jacob Javits Center, NYC. The Future Market is a conceptual grocery store stocked with products from the future. It’s an immersive experience exploring our fast changing world and how we will produce, shop for and eat food over the next 5-25 years. You’ll see the future of food brought to life through a physical retail experience and a restaurant exhibit. 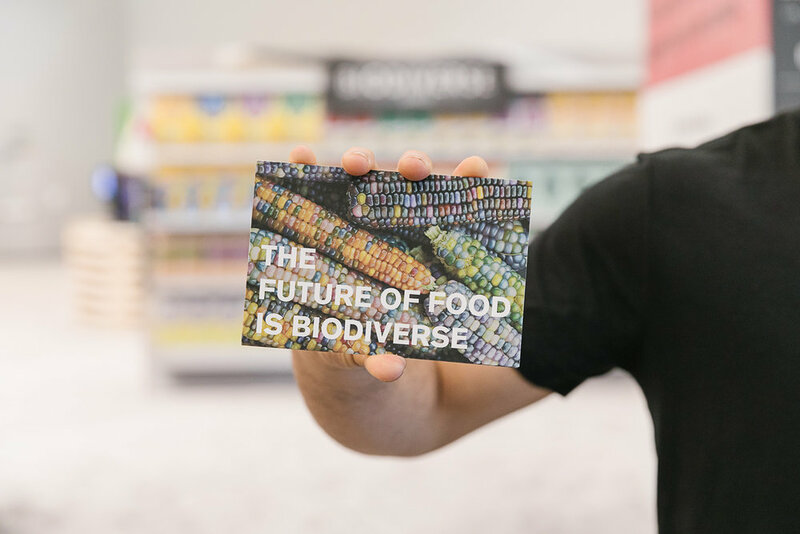 The Future Market pop-up store will feature 40 conceptual food products that show the long term potential of innovations ranging from vertical farming, to cellular agriculture, to precision nutrition. Our concept store also features a next generation digital food shopping experience and vignettes of how food will be made, shopped for, and eaten in the next 5-25 years. Our concept retail experience challenges the notions of how fresh and packaged foods are made and sold. In the future, uniform mass production and marketing have fallen out of favor. Food is customized and as diverse as the people who eat it. The shopping experience is also tailored to an individual’s FoodID, a system that records and analyzes food preferences with user inputs and real-time biometrics. Through advancements in cellular agriculture, vertical farming, and 3D food printing, food can be made on-demand and to the exact specifications of the eater. The food system of the future generally makes a lighter impression on the Earth and in many cases, agriculture regenerates our planet. We still wrestle with challenges like pollution and extreme population growth, but have managed to employ a harmonious balance of high tech and traditional methods to address these problems. The Future Market is a vision of what it looks like when today’s bleeding-edge trends, behaviors, and technologies become mainstream products and services in the next 5-25 years. Join us to explore and discover what our food system could be. 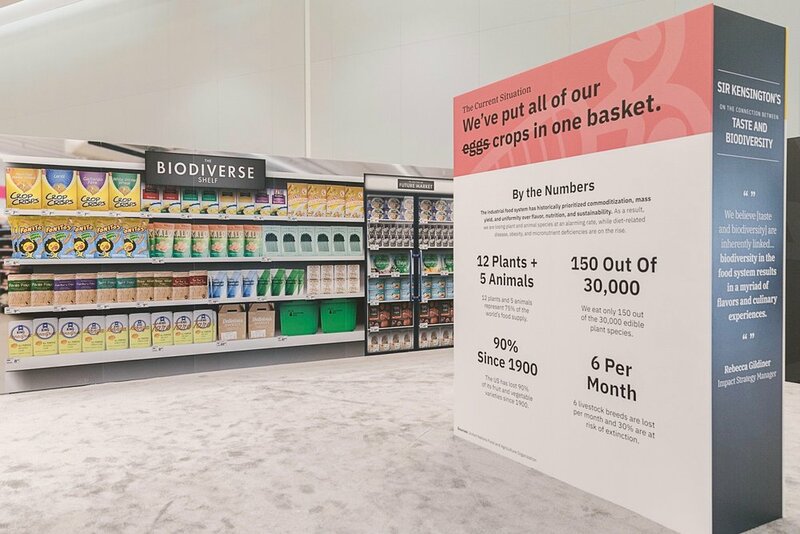 The Future Market features virtual aisles and shelves, in a much smaller than usual physical retail space, as inventory is stocked and produced in separate automated warehouses. Shoppers’ food is chosen digitally, gathered robotically, and received physically in-store or via at-home delivery. In the future, food shopping hinges on digital interaction and robotic fulfillment. Whether shopping or dining, experiences begin with entering your information into Food ID, a system that records and analyzes food preferences with user inputs and real-time biometrics. Living in a digitally powered food world means your food choices are tailored to your preferences and needs for efficient shopping and better well being. It’s the end of one size fits all food. We believe that understanding the food of tomorrow can spur the development of food that’s better for people, planet and profit today. 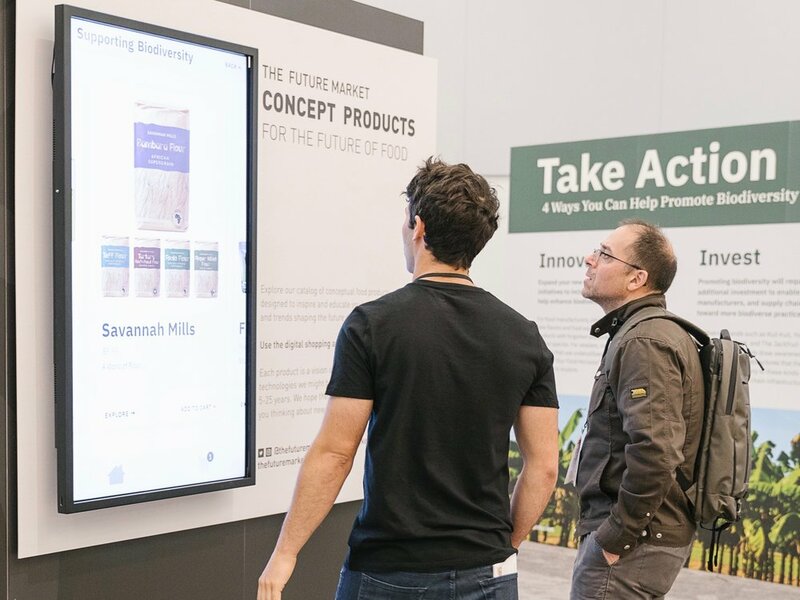 We created The Future Market to help the food industry understand how the world is changing to inspire them to create more ambitious products today. Contact us to learn more about how we can create an innovation experience for your food company.